We now offer a mobile planking service. Alaskan Mill chainsaw mills are one of the most economical and best known chainsaw mills in the world that allow us to efficiently saw trees on site and produce dimensional lumber suitable for building or woodworking projects. Paul Toft NCH ARB has been professionally involved in Arboriculture for over 28 years. As a fully insured tree surgeon and working within private and public sectors, Paul provides tree services throughout Ceredigion, Carmarthenshire, Pembrokeshire and South Wales. As a tree surgeon trained at Merrist Wood Guildford and up to date with current legislation he always adhere's to good arboricultural practices. Specializing in tree work BS3998-2010, his work ranges from tree pruning, tree: ground and ariel inspection, general tree surgery including larger work on mature specimen trees, section felling, diagnosis of pests and diseases, planting, root feeding and brush cutting. He will always give an economical quote to the client and adhere to leaving the site neat and tidy. Consideration to the environment is paramount. He has full Public and Products liability and Employers liability insurance. 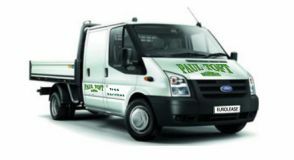 Please be advised that Paul Toft does not subcontract any work.